How do peasants, producing mainly for themselves, become capitalist farmers, producing largely for sale? What happens to farm sizes, farming practices, and the relationships between cultivators and others in the process of this transition? How far does it vary from region to region? Is it inherent in the peasantry, or must it be instigated by landlord, townsfolk or the state? These are some of the questions addressed by Goeran Hoppe and John Langton in this 1995 study of rural change in Sweden. Eschewing both traditional narrow empiricism, and the recent trend to over-employ modern social theory, the authors have carefully combined theories about the transition from peasantry to capitalism with meticulous analysis of the abundant Swedish records. In doing so, they reveal the wide geographical variety and rich socioeconomic complexity of the changes which occurred in the process of modernization in the nineteenth century. 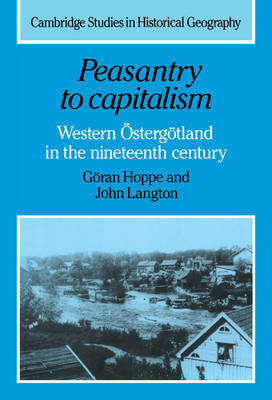 Buy Peasantry to Capitalism by Goran Hoppe from Australia's Online Independent Bookstore, Boomerang Books.